Located on the trendy South-West coast of Mauritius, on freehold land (14.5Ha), La Balise Marina development comprises of 113 luxury residences. �Living in Black River for the past 16 years one can only say that there is no other place in Mauritius that I would prefer to watch the sun set or enjoy the warm winter evenings...."
A unique mixed-use development where you can choose to live, work, shop and relax in one place. Medine Property was set up in 2007 as the property development arm of Medine Limited, entrusted with the transformation of the century-old sugar company into a major property player in Mauritius. In the days of sailing ship, between the Cape of Good Hope nad the East Indies, Mauritius was a salutary port of call for sailors in search of fresh water, fruit and rest on what was already then considered to be a paradise island. ILOA specialises in holiday rental accommodation, self catering accommodation, beach villas, long term rentals and IRS/RES sales. A unique ownership opportunity is dawning in the Indian Ocean. Villas Valriche is a luxury residential estate consisting of 288 freehold Mauritian plantation-style detached villas with shingle roofs, set in approximately 106 hectares of lush landscaped grounds. Own an exclusive beachfront property or an idyllic 'pied a terre' in Mauritius at opportunistic prices. 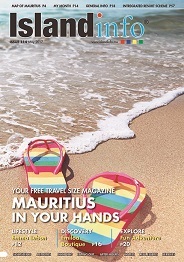 Mauritius now offers an abundance of investment possibilities to suit even the most discerning property buyer. From the most luxurious Plantation styled freehold villas at Villas Valriche to the most compellingly designed Villas at the Tamarina Golf Estate and Beach Club, the magnificent Four Seasons Private Residences and Solaia Premium Villas at Anahita's World Class Sanctuary, the property market under the Integrated Resort Scheme is booming. Browse through our listings and come one step closer to owning your dream home. For the prospective investor considering property for sale, you will find a selected list of professional and reputable estate agents offering a wonderful array of houses, bungalows, villas, apartments and offices in great locations. Seize the chance of a lifetime to embrace a unique lifestyle in a unique location.